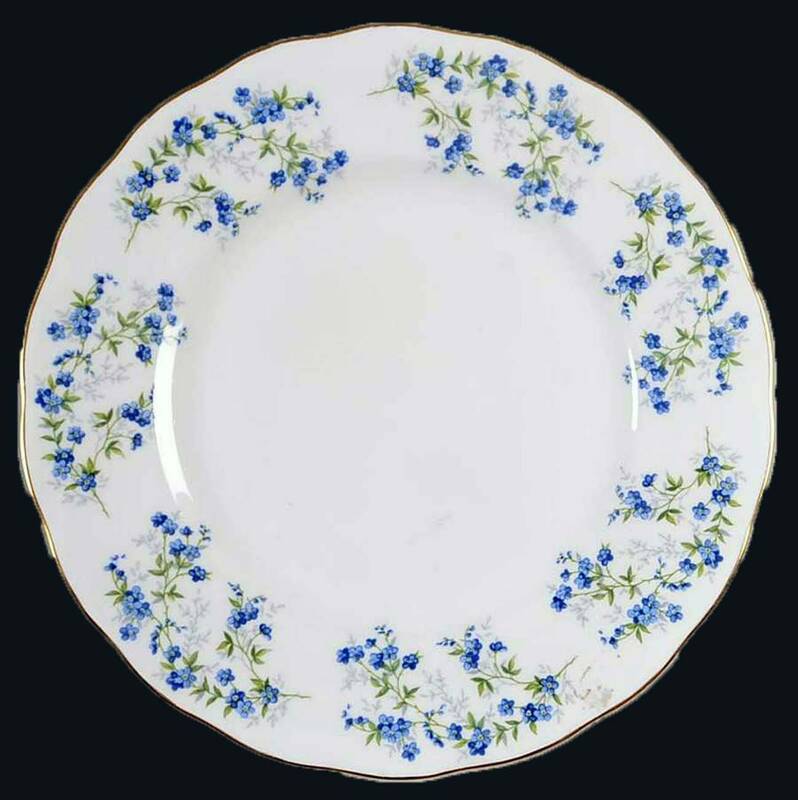 Mid-century (1950s) Queen Anne Sonata salad | side plate. Bluebells, greenery, gold, scalloped edge. Made in England. 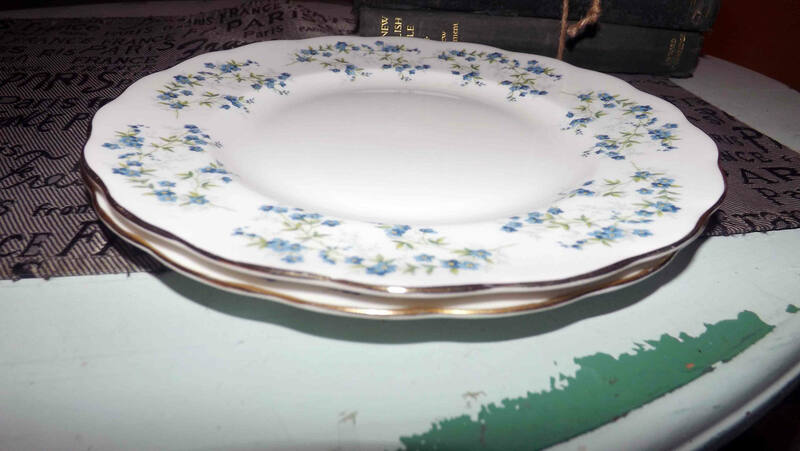 Mid-century (1950s) Queen Anne Sonata salad or side plate. 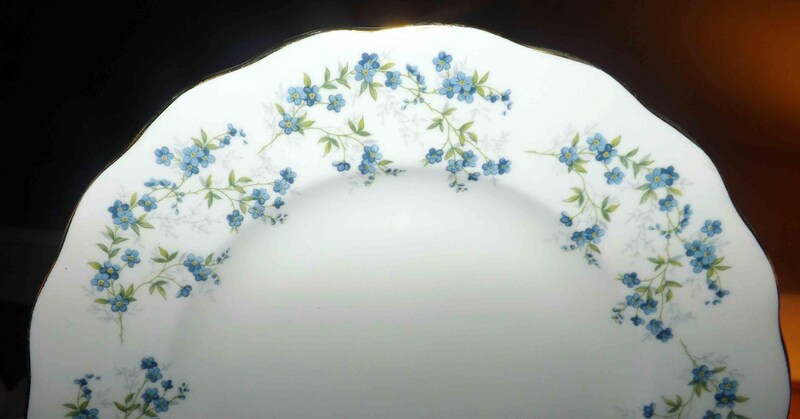 Gold, scalloped edge with a border of bluebells and greenery on a white ground. 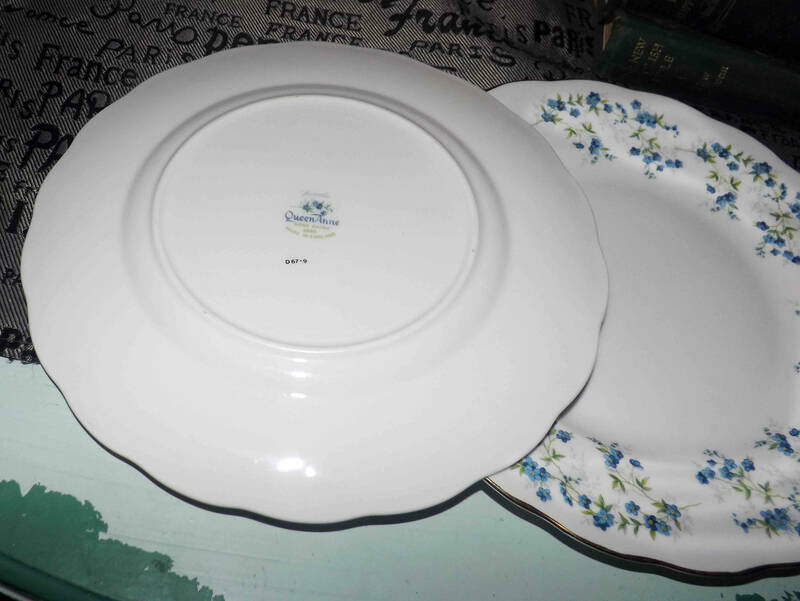 Made in England, this plate is in EXCELLENT! condition with NO! chips, cracks, fleabites or crazing, NO! loss to the scalloped, gold edge and NO! marks, stains, scratches or other signs of use or wear. The blue florals are bright and vibrant with NO! fading. 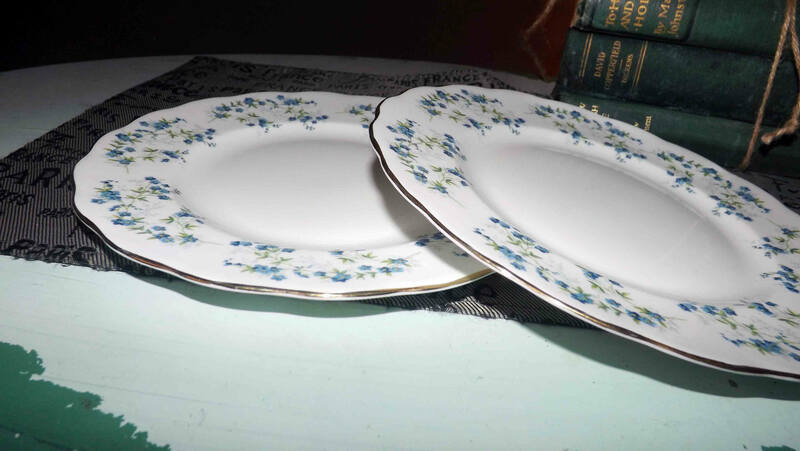 Approximate measurements: 8-1/4" in diameter with a scalloped, gold edge. THIS LISTING IS FOR ONE (1) SALAD PLATE. Currently, more than one plate is available in the shop.